A high-quality notebook with Scrum rules and guiding principles described on each page. 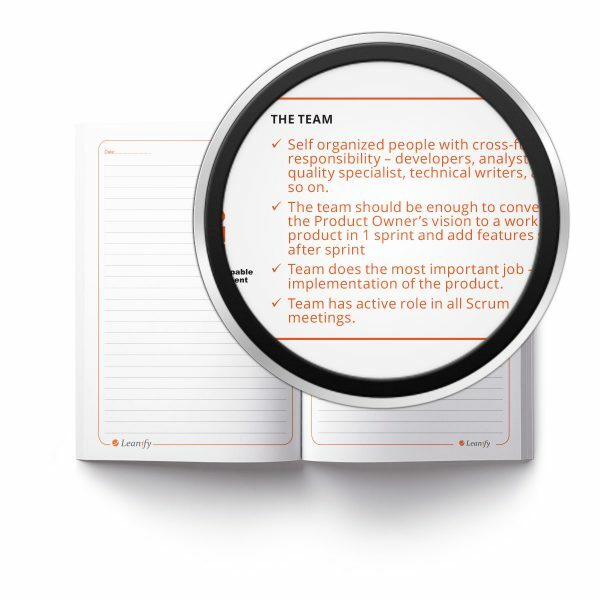 Each page is unique and focuses on one aspect, for example how to make the Daily stand up meeting, what the role of the Scrum Master is, or what is important for a good Definition of Done. 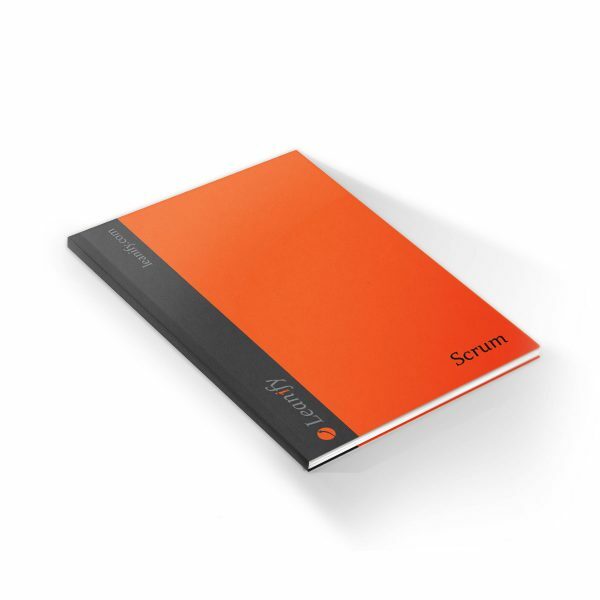 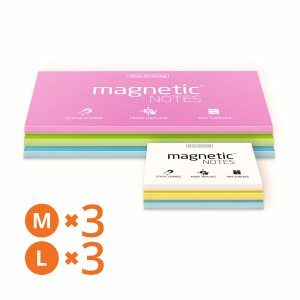 The Scrum Notebook is a compact softcover notebook of 22 sheets that can be used both to keep notes and as a quick reminder of the guiding principles of Scrum framework. 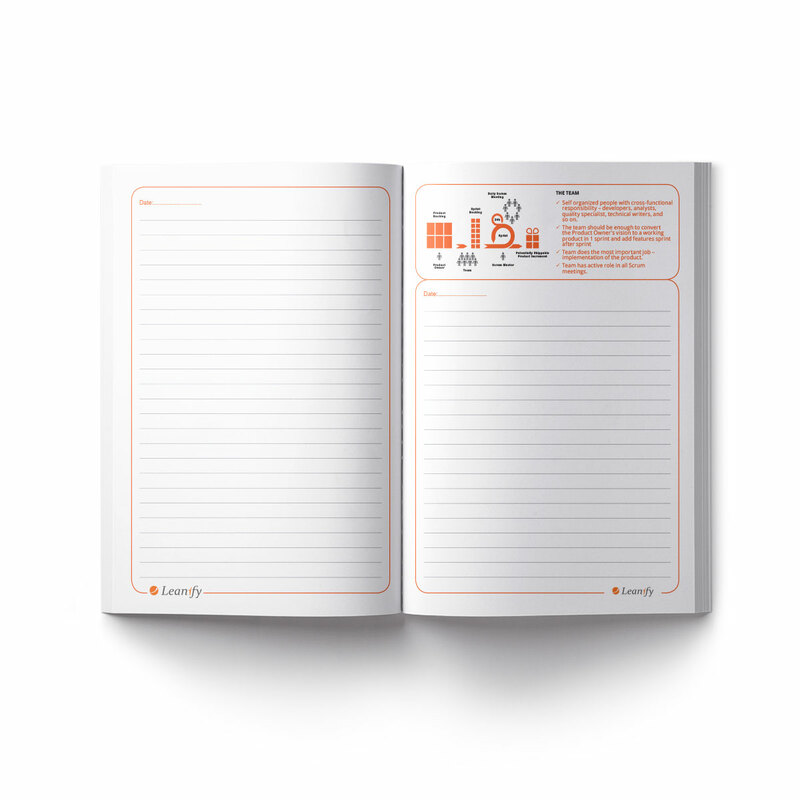 Each page focuses on one rule, artefact, role, or meeting with the most important aspects to consider. 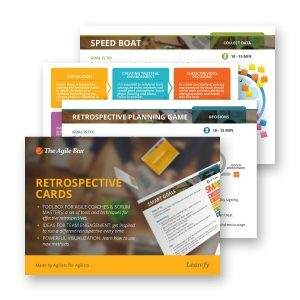 It can be used to review and remind the team these guiding principles in the beginning of Scrum implementation, or when the team is facing challenges.